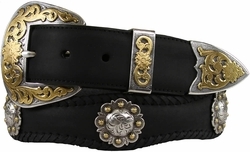 Hand laced edge Oil Tanned Harness leather belt. 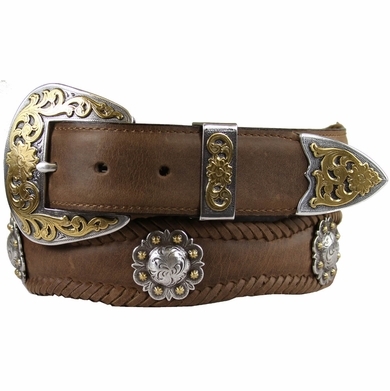 Hand Polished Sterling silver and gold plated three piece buckle set and Berry Conchos made from hand engraved masters. 1 1/2" wide.